The funding bill includes provisions to stop the IRS from further implementing the individual mandate under the Affordable Care Act; SEC's budget stays flat. 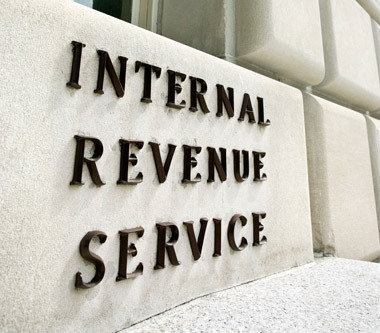 The IRS will get an additional $75 million to improve taxpayer services. The House Appropriations Committee voted Wednesday to keep the Securities and Exchange Commission’s budget flat while cutting a significant chunk out of the Internal Revenue Service’s budget. The $20.2 billion in funding in the fiscal 2016 Financial Services and General Government Appropriations bill — $1.3 billion below the fiscal year 2015 enacted level and $4.8 billion below President Barack Obama’s budget request — provides $1.5 billion for SEC, which is equal to the fiscal year 2015 enacted level and $222 million below Obama’s budget request. The IRS received $10.1 billion, $838 million below the fiscal year 2015 enacted level and $2.8 billion below the president’s budget request. While the bill also provides $2.2 billion — $75 million above current levels — for Taxpayer Services to “measurably improve” the rate that IRS answers telephone calls and correspondence from taxpayers, the legislation includes provisions to stop the IRS from further implementing the individual mandate under the Affordable Care Act, aka Obamacare. Meanwhile, the House Appropriations Subcommittee approved late Wednesday on a party-line vote a funding bill that would prohibit DOL from using any of its funds to finalize, implement, administer or enforce its fiduciary rulemaking under the Employee Retirement Income Security Act. The bill has been referred to the full committee. — Check out IRS Ripped at Hearing Over Service Cuts to Taxpayers on ThinkAdvisor.